The UAE has dismissed allegations raised by Qatar about safety concerns at the Barakah nuclear power plant set to open in Abu Dhabi next year. “The United Arab Emirates is not aware of such concerns related to the safety of its nuclear power plant,” Hamad Ali Al Kaabi, the UAE’s permanent representative to the International Atomic Energy Agency (IAEA), was quoted as saying in a statement by official news agency WAM. The UAE’s statement came after Qatar said in a letter – seen by Reuters – to the IAEA that the $24bn Barakah plant “poses a serious threat to regional stability and the environment”. It urged the IAEA to issue a framework to “ensure the safe operation of nuclear energy in the Gulf”. 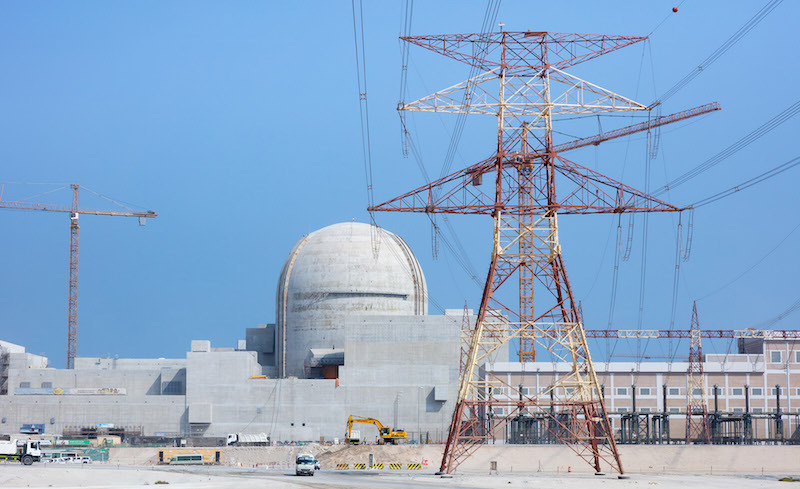 However, Al Kaabi asserted that the UAE’s nuclear energy programme conforms to the safety standards of the IAEA and the international best practices. “The Barakah nuclear power plant is using the advanced third generation nuclear technology, comprising four reactors of a modern Korean design with advanced safety features. Moreover, the UAE received in the past decade more than 10 peer-review missions covering various aspects from nuclear infrastructure, the legal and regulatory system, nuclear safety, security, emergency preparedness and nonproliferation and the reports of these missions are publicly available,” he said. Currently, the power plant is at an advanced construction stage with the project reaching over 91 per cent completion, with expected operation by 2020. The UAE is part of international conventions – including the Convention on Nuclear Safety since 2009. “The UAE also takes active part in the review meeting at IAEA, which holds its meeting every three years to answer all matters related to the nuclear programme as raised by IAEA member states. We encourage all countries including our neighbours to participate in such forums,” said Al Kaabi. The Emirates also has a “competent independent nuclear regulatory authority, which is responsible for ensuring the safety and security of the Barakah Nuclear power plant through applying robust regulatory licensing and inspection”, he said. The country has also commissioned an international advisory board, that is chaired by the former IAEA director general Hans Blix, to provide advice to the UAE government on its nuclear programme to ensure its compliance with the highest international standards in terms of safety, security and nuclear non-proliferation. Reports of the board are also publicly available. “The UAE does not believe that there is any concern regarding the safety of its nuclear power plant, however we encourage interested countries to use the right venues where such information on nuclear safety can be provided and questions can be addressed,” he added.